DCR Fast Drifter is a 2016 palomino gelding that will sell at Durbin Creek Ranch’s Annual Bull and Horse Sale on February 28, 2019 in Worland, WY. "Drifter" has a lot of rate with tons of ability. 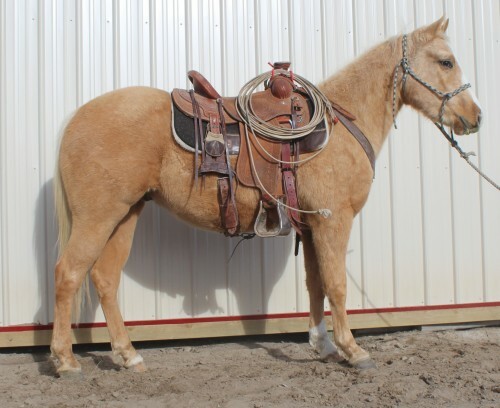 He is going to make a wonderful ranch horse and have the ability to go on as a performance horse as well. He has been used for every day ranch work and rides nice both inside and outside.